SanDiegoVille: Enter for a Chance to Win $100 to Roy's Restaurants and Enjoy a Northeast Asia Prix Fixe Dinner! Enter for a Chance to Win $100 to Roy's Restaurants and Enjoy a Northeast Asia Prix Fixe Dinner! To celebrate the launch of the Northeast Asia Prix Fixe at Roy's La Jolla, the restaurant has offered SanDiegoVille readers the chance to win $100 gift card good at any Roy's location. That’s enough for two people to sample the newest concoctions from Chef Charles’ local chef page or the limited time Northeast Asia Prix Fixe, a three-course menu featuring culinary inspirations from China, Japan, South Korea and Hong Kong. Enter below for a chance to win and we'll contact the winner by Monday, November 10. The Northeast Asia Prix Fixe is available for a limited time at Roy's La Jolla, allowing guests to celebrate the season with this diverse offering for only $36.95. The menu also features a special cocktail, the Asian Pear Martini, for only $10. This prix fixe comes with Grilled Filet Mignon Yakitori to start, Pumpkin Seed-Crusted Ahi as an entrée and Apple Financier for dessert. Roy's has two locations in San Diego. 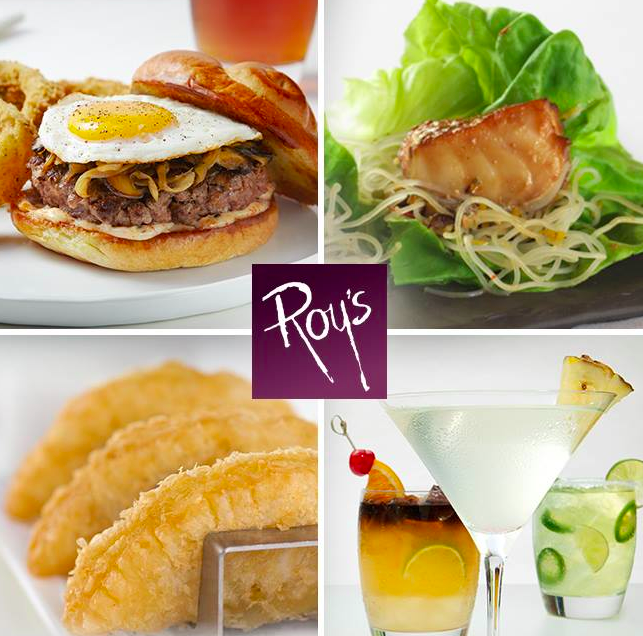 Roy's La Jolla is located at 8670 Genesee Avenue and Roy's San Diego is located at the Marriot Hotel adjacent to the Convention Center at 333 W Harbor Drive.